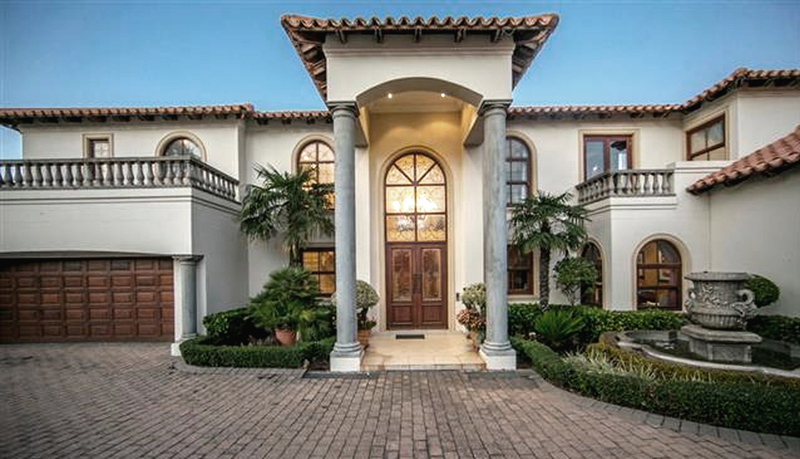 The influx of Tuscan houses during the 90’s radically changed the face of suburbia in the Northern parts of South Africa. For some, it has become the personification of bad taste and an ongoing reference to an architectural trend out of control, for others, a manifestation of luxury and a sign of financial well-being. For me, there is nothing essentially unattractive about Tuscan architecture, when you are in Tuscany, but when built in the leafy burbs of South Africa it leave some of us snarling and making snide comments. What is the fascination with this tasteless assimilation and how did it get ingrained into our suburban fibre? The answer is beyond my scope and comprehension, but here are a few thoughts. Montecasino, a large hotel and casino resort built in Fourways, Johannesburg, is essentially a reproduction of an Italian town, complete with a false ceiling adorned in clouds and fake bird dropping accents. It has had a self-proclaimed role to play in the proliferation of the style in other parts of the country, and its mark is most apparent on the style of residential architecture in the surrounding sprawl. There remains, to my mind, a massive cloud of uncertainty regarding ‘South African’ architecture. There is a lack of authenticity in this adopted Tuscan example. The architectural process of cutting and pasting parts of another country/culture into our own, stagnates appropriate local architectural development by shifting the exploration away from authentic responses to our immediate context. Its presence in our built environment is both amusing and admired, however, it seems to have found its way into our visual vocabulary. Furthermore, Tuscan and the Monte-effect were a post-modern 90’s dilemma – so why drag this dead horse from the stable, to be beaten once again? Without identifying any such contemporary indicators of the same stagnation happening, can we be sure we have moved on from the same flawed methodology that allowed this to run rampant in the laeveld? 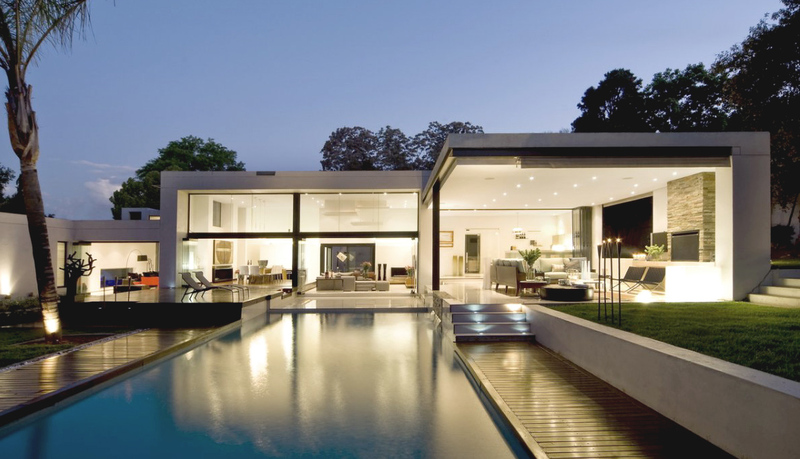 Looking at contemporary residential architecture in South Africa I find myself identifying a similar inappropriate transplanted style among affluent suburbs. 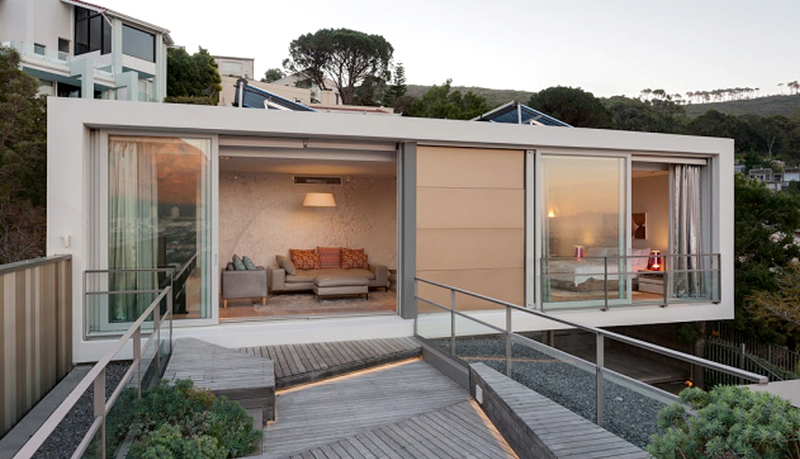 The glass-wrapped white boxes are now in vogue. We are doing away with the adornment, texture and colour and opting for the slick, polished look – a hangover of the international style. In my humble opinion, residential architecture must function as a response to the needs of the ‘resident’ (presumably the client), who is usually the curator of the look of the house and remember, “the customer is always right”, right?… so, if your client is unhappy, you have “failed the brief”. Well, the references most clients have for a contemporary home is what is published and pushed on lifestyle avenues, which unavoidably curates their taste, and is somewhere between Tuscan and white box. So here we stand; the tortured artists, with no capacity to command our own turf… so we say. In other parts of the world there seems to be a more authentic stylistic interpretation of modernist ideals; one where a contextually and culturally appropriate response has been developed and executed, by the designers, first. 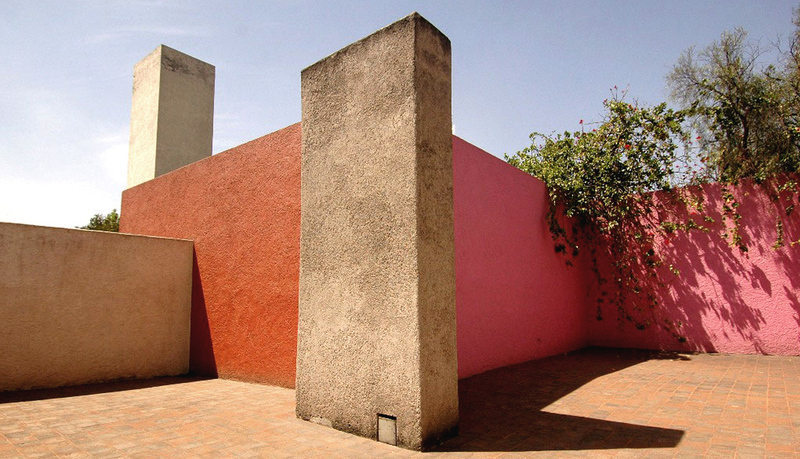 Enter, Luis Barragan – Pritzker prize winning architect, whose colourful and cultural interpretation of the International Style was honed and evolved in Mexico, providing a precedent for a worthwhile trend. 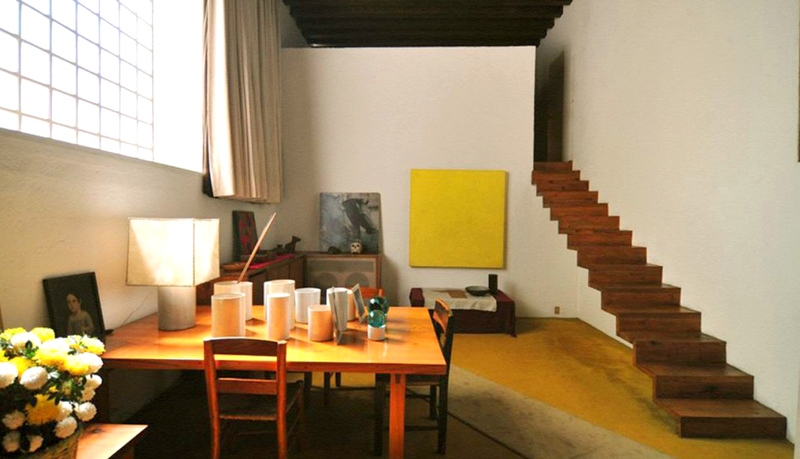 More importantly, it took the culture of Mexico into it’s evolution, rendering it, light and airy with thick walls, bright colours and natural ventilation and very little glass. So can’t we at least ask the right questions? Prioritize and pursue culturally and contextually relevant agendas wholeheartedly? While I am not aesthetically offended by the appropriated modern style of contemporary residential ‘white box’ architecture we are currently obsessed with, I find it to be generic, lacking context and in touch with nothing that represents our reality. Just like my sentiment for the 90’s Italian barrage; I Tuscan’t take it anymore.